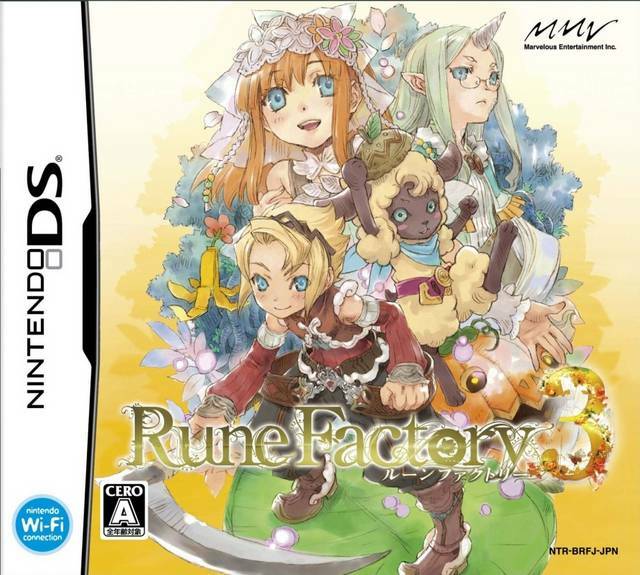 Well if Marvelous keeps it up like always and manage to make it even better than Rune Factory 3, this would be a good reason enough to buy a 3DS, along with Devil Survivor Overclock and the new Etrian Odyssey. In at least 4 years when the price drops of course. From Adriasang.com, just like in Rune Factory Oceans, you’ll be able to play as a boy called Lest, voiced by Kouki Uchiyama (Banagher in Gundam Unicorn, Natsuno in Shiki, stupid gay Ichika in IS) , or as a girl called Frey voiced by Chiwa Saito (Senjougahara Hitagi, Sigyun from Break Blade, Homuhomu, Kaori in Gokujou Seitokai). Of course both lost their memory like always. This entry was posted in Games, Harvest Moon on June 29, 2011 by rockmanshii. This entry was posted in Games, Harvest Moon, Opinions on... on November 22, 2010 by rockmanshii.